Step 1: Print and cut out our Party Hat template. Step 2: Trace the template onto your painted paper and cut it out. Step 3: Prepare the marbling mixture by using the instructions given in the kit. Step 4: Dip the cut party hat into the mixture. Remove it, and allow it to dry. Step 5: Once the paper is dry, shape the party by fitting the tabs into the given slots. Step 9: Push the elastic through each hole (I use my x-acto to do this) and tie a knot to hold it. Step 10: Wear and enjoy! This turned out really cute! I haven’t tried using a marbling kit. This DIY makes me want to grab one though. so pretty, i love the color palette!! I love paper marbling! So many possibilities! I love these. The marbled look is great. 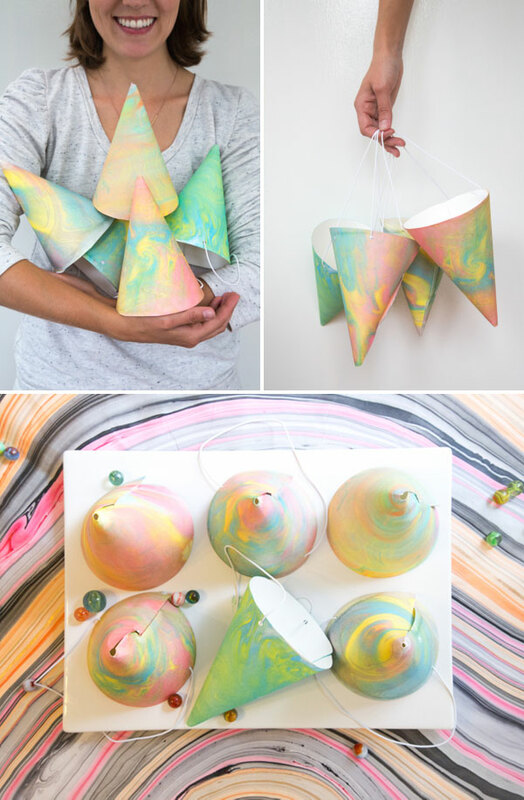 I need this marbling kit. How adorable! My tie dye loving son will love these! Thanks for a great idea. The marbling turned out great! I did a similar project when I was young at the school!! 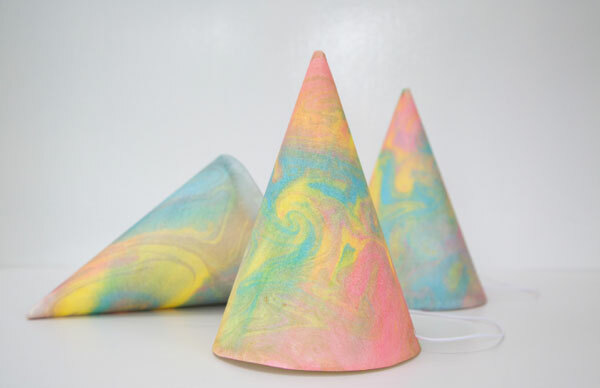 I love this DIY is really nice, now you have very originals party hats!!! 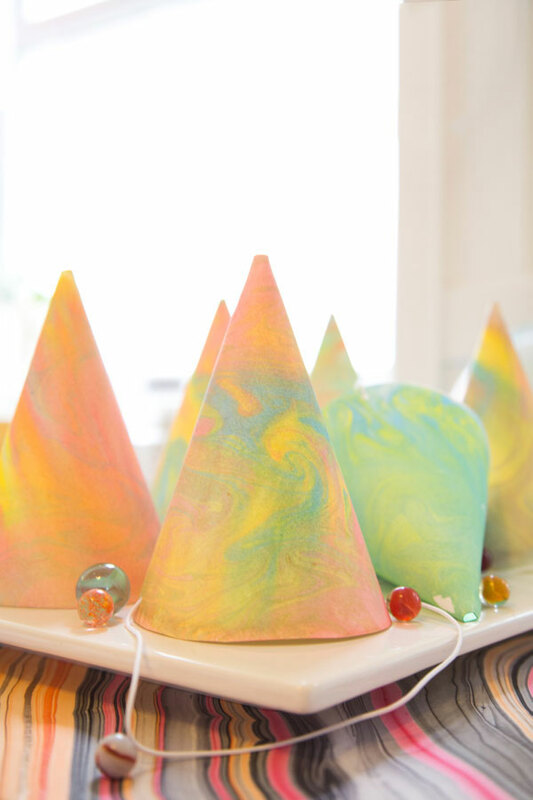 What a fun and colorful addition to add to any party. I love how each hat is original and doesn’t match each other. This would be a great craft to do with kids to get ready for their big day! Wow sooo cute, I love it !!! How beautiful! I think I’ll try this marbling technique to make pretty personalized cards. Wish me luck! Cute for a kid’s party.